Cycling holidays in Aveyron, Parc des Grands Causses (all tours). A 10 to 14 days cycling tour in this Southern part of the Massif Central. More pictures of Tarn Valley. 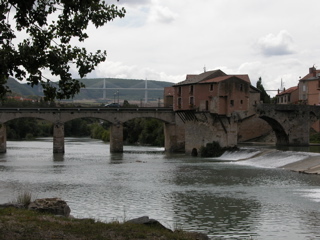 Between Albi, the pink city - with its beautiful old brick-built centre, the Toulouse-Lautrec museum and its Cathedral - and Millau, in the center of Parc des Grands Causses, you will be walking or biking alongside the Tarn river in a steep sided valley. Down in the valley between two hilly plateaux which rise up to 700m height, you'll get the feeling of being up in the mountains. The river flows swiftly to the West through the valley, also called "La Vall�e de l'Amiti�e", a very friendly place in which to stay and hike and a bit more to the East the Raspes du Tarn. You'll see and visit old castles in Brousse-le-Chateau, Coupiac, St.Izaire and pitoresque villages like Ambialet and St.Rome de Tarn. For centuries life and local trade has centered around these places. 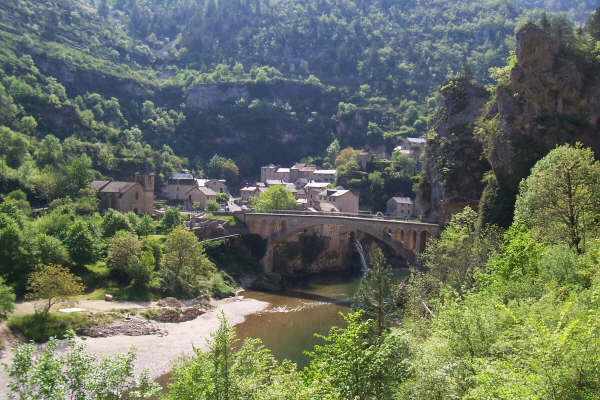 From Millau, a pleasant small Mediterranean alike city, also the gateway to the better known canyons of the Gorges du Tarn and a centre for activity holidays, you'll start the Tarn Valley walk under the worlds highest viaduct from where you will be heading further downstream. From the second half of june the chirring sound of cicades will go all along with you as if in Provence. More pictures on Pays de Roquefort. South of the Tarn river, water acting on the limestone plateaux created caves, subterranean rivers, gushing springs.The most famous of the caves is now still used for the ripening of sheep cheese: Roquefort, king of cheeses, cheese of kings. Pays de Roquefort also includes the Causse du Larzac with its restored Medieval Templars garrisons from where crusades set oput in 10th-13th centuries, and the Redlands of Camar�s with its Cistercienzer Abbaye de Sylvan�s. St.Affrique, a small Southern town, is the starting place of many walks in this walking area. The landscape exudes peace and unspoiled natural beauty. Shepherds will be your only company during hours of walking. More pictures of Gorges and Causses. 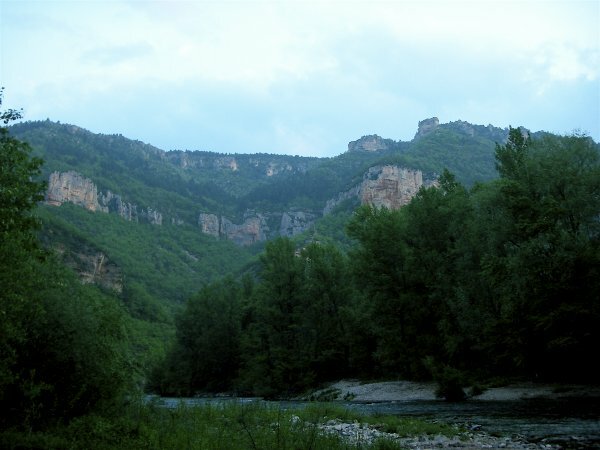 East of Millau the Tarn river and its tributaries carved out 4 canyon like Gorges: Gorges de la Dourbie, Gorges de la Jonte, Gorges du Tr�vezel and the most famous of all the Gorges du Tarn. These Gorges are at the heart ofthe most spectacular walking and cycling area of the Grands Causses Natural Parc. Steep crags of 400m and the typical scenery of limestone plateaux dissected by rivers.You'll see the Grotte Rose of Dargilan, the unusual scenery of the Causses (Le Chaos de Montpellier le Vieux and Roques Altes). 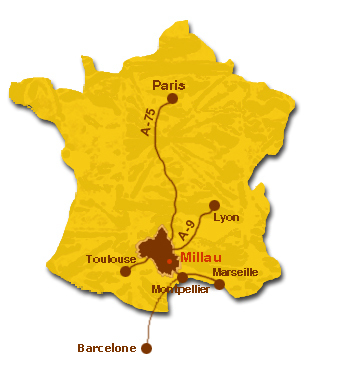 Your walk begins and ends in Millau or at Ch�teau de Creissels. Tarn valley, Pays de Roquefort and the Canyons of the Gorges and Causses are part of the Parc Naturel des Grands Causses. 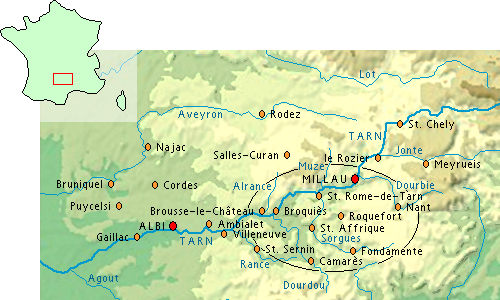 Millau lies in the centre of this nature park. East of this nature park are the Cevennes mountains. 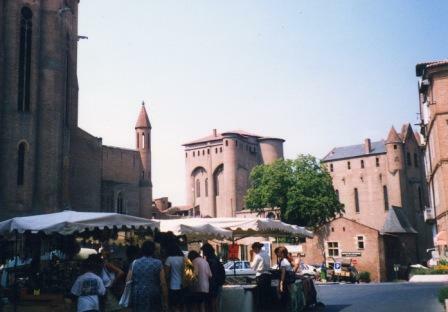 ALBI, at 80 km travelling by train from Toulouse (airport) at the outer Western border of our territory at the Tarn river. The city is famous for its architecture, its Cathedral and the Toulouse Lautrec Museum. 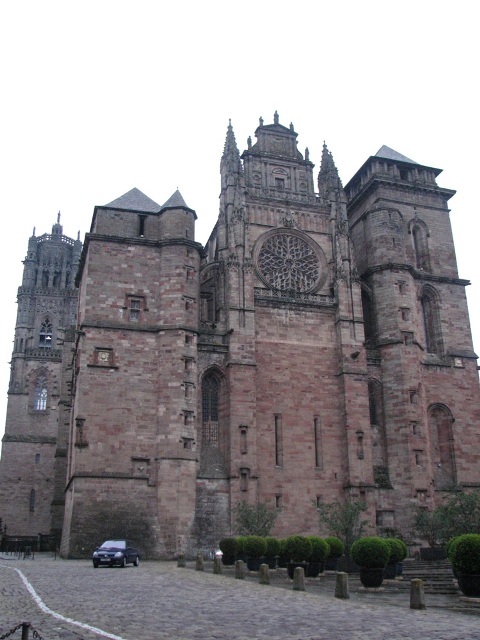 Rodez: Mus�e Soulages and the Cathedral Notre Dame de Rodez. MAILINGLIST LA LIGNE VERTE: Enter your email address, and we'll keep you informed about special offers. 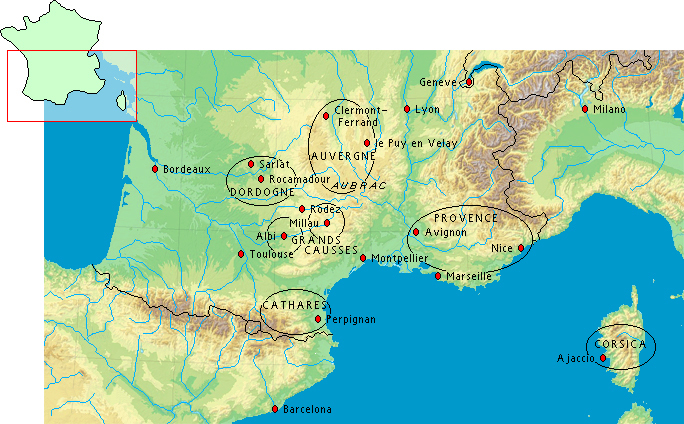 Far away from all the hustle and bustle, at 700km South of Paris, the Tarn river flows from the Cevennes through the departments Loz�re, Aveyron and Tarn and the Grands Causses area. In this part of (Southern France, 'le midi' ) genuine countryside and 'La France profonde' still exist. 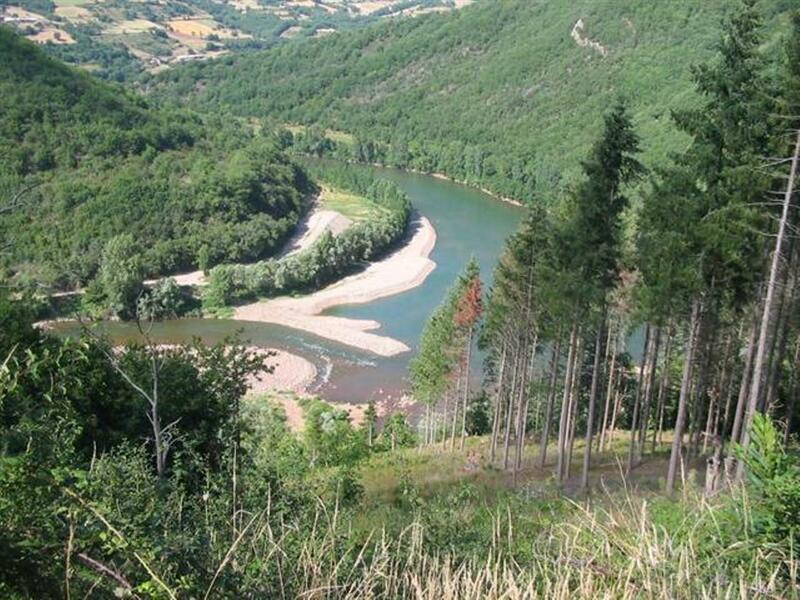 A district with an extraordinary diversity of landscapes, that you will get to know when hiking and cycling through this far South part of the Massif Central: mountains, limestone plateaus (Causses), lush green valleys, roaring rivers (Tarn, Jonte, Dourbie, Lot, Aveyron, Dourdou). Lots of small villages here instead of large urban areas with dense population. No fast food here, but the French cuisine, honest food in small family runned hotels where you will get a warm welcome. La Ligne Verte has settled in a small village in the Valley of the Tarn, 60 km from Millau and Albi, called Broqui�s. This part of the course of the Tarn is called the "Raspes" and is attractive for those who like quiet, simplicity and unspoiled nature. It lies in the Parc R�gional des Grands Causses in South-Aveyron. Aveyron is also a rich source of (ancient) culture: the district of Templars, medieval cloisters and places of pilgrimage. And... apart from the cyclists and hikers, a renowned district for bird-watching, mountain-biking, (fly-)fishing, but above all a region for those who seek nature, piece, quiet and farsights of mountains, valleys and plateaus, called Causses. Albi is a nice start for accessing the Grands Causses nature park. 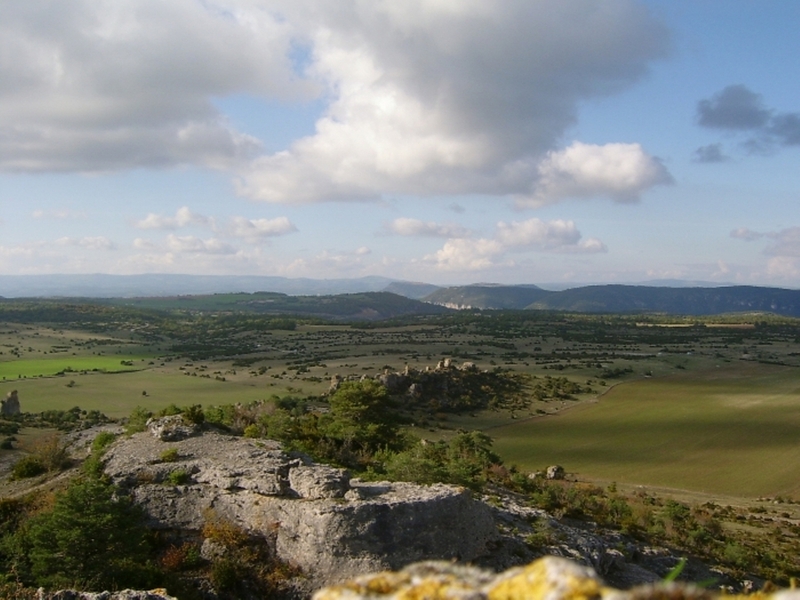 By the lovely Tarn valley you will reach Millau in 2, 3 or 4 days cycling, 7 or 8 days walking.